As we age we are susceptible to many health problems including losing our teeth. This is where dental implants come in. There have been much advancement in the dental industry to allow dental implants to function efficiently in the mouth. The earliest dental implants seem to be traced back to the early Egyptians when they created seashells to implant into the jaw. This would replace missing teeth that had fallen out. However, in 1952 the first modern dental implant was placed into a mouth. Since these times, the dental industry has progressed tremendously. Dental implants are no longer considered a risky or experimental procedure. In fact many patients choose this form of teeth replacement. It is safe, reliable and in many cases, less expensive than other conventional methods of replacing your teeth. Today we replace many missing teeth with dental implants. This is when a single tooth is implanted into the jaw and the artificial tooth looks, and acts, and functions as a regular tooth. It’s important to bridge or replace missing teeth because bacteria infections can build up and food particles can persist in between the gum line. By replacing you’re missing teeth, you are treating your mouth healthy and preventing possible future diseases. Dental implants are a great solution. Are implants right for you? The ideal candidate for any dental implant is a person who practices good oral health. You must have adequate bones in your jaw because this is needed to support the implant. The best candidates have healthy gums and are free of gum disease. 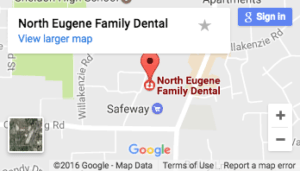 We can help you assess if you are a candidate for dental implants in Eugene. Visit Dr. Kirchmeier today.